Simply Beauty. : Sleek acid raver's look & nails! So one thing i LOVE about summer is all the neons. and have been itching to use it. and often times neon is everywhere there. here's the look I created using Sleek's Acid Palette. but i'll get it next time. I was VERY impressed with these shadows. but they blew me away. Super pigmented & were easy to work with, even for mattes. Also, (despite the primer) their staying power was amazing. 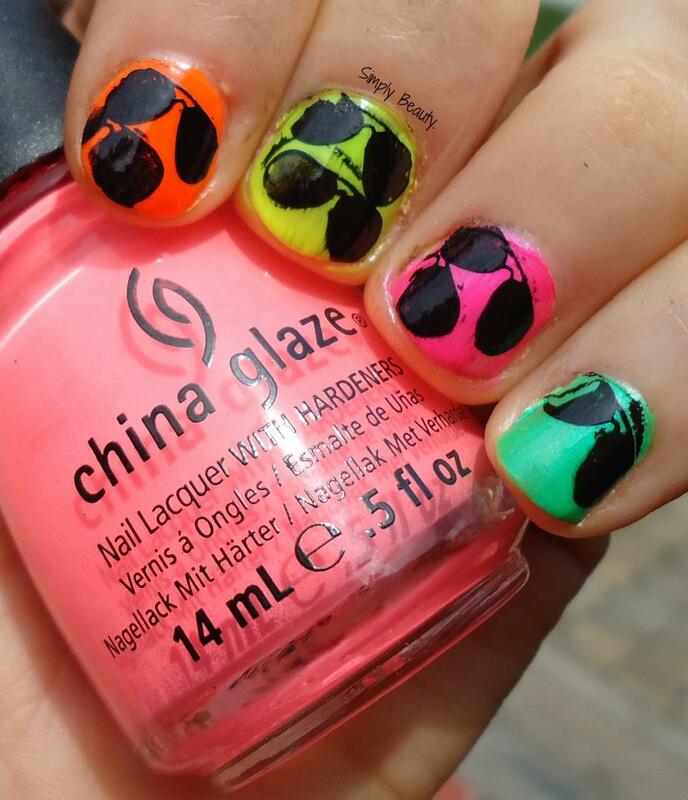 some neon nails with crappy stamping! I attempted to stamp them in a slanty pattern but that went bust. I liked being fun in painting each nail a different neon. What are your thoughts on this look & the crappy stamping mani?! OMG i am obsessed!!!! 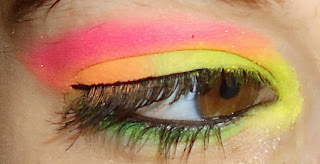 i love love love neons, this look is freaking amazing! I love this whole neon look! It is all gorgeous!